Have your partner ever cheated on you with Neflix? By that, I mean watching episodes of the TV shows you are watching together without you. 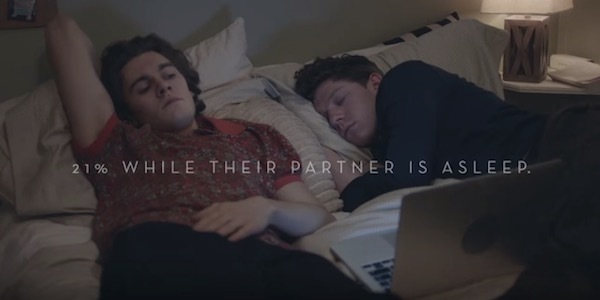 To prevent this relationship-damaging event from occurring, ice cream brand Cornetto—“the ice cream that has united couples for decades”—has unveiled the “Series Commitment Rings” in its recent commercial—with them, couples would have to wait for the other party to be around before they can watch the TV shows they are following. Designed to work with a mobile app, the rings work on NFC technology and is linked to a video streaming platform, which would only be activated when the rings are together. When only one ring is present, the TV series that the couple watch together would not be available for streaming, thus preventing “the most common reason why couples fight nowadays”. Watch Cornetto’s commercial below to find out more about the brilliant “Series Commitment Rings”—you can also head over here to find out when you can purchase them online.